For something more contemporary than Fort Myers Beach’s traditional shrimp and seafood houses, head to San Carlos Island on the east side of the high bridge where the shrimp boats dock. 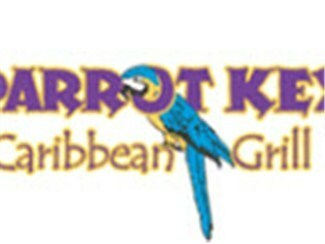 Parrot Key sits marina-side near the shrimp docks and exudes merriment with its Floribbean cuisine and island music. The all-day menu takes tropical cues with dishes such as habanero-pepper wings, chicken sandwich with kiwi-strawberry-mango-barbecue sauce, fillet topped with blue cheese, and fried oysters with creole mustard. There’s live entertainment weekends from 7 to 10 pm.